Located just 100 metres away from the picturesque fishing village of Aliki, the Aphrodite hotel lies within walking distance of the beautiful beach, where windsurfing, snorkeling and many other water sports can be practiced. A warm welcome together with attentive hospitality and excellent service make the property an ideal accommodation for a pleasant stay and the perfect choice for truly relaxing vacations. 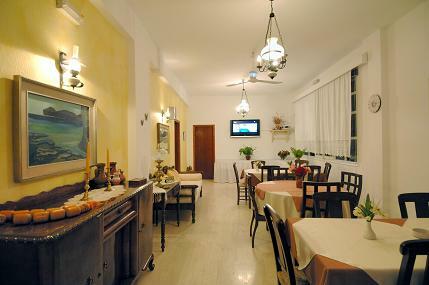 General facilities( dining room, breakfast room, bar, colored TV music and elephone, Garden bar, private parking, safe box, internet Access. Distances, Paros port 10km, 100m from the beach Tavernas and super markets , Bus station from/to all Paros, 20m from the hotel. In our hotel you'll spend unforgettable holidays in of a family and hospitality island environment offers comfortable rooms for 1 to 4 guests. 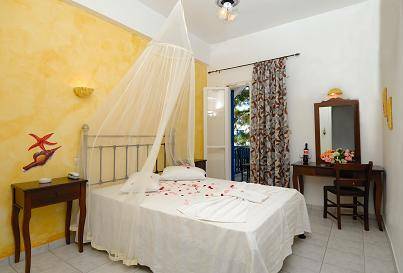 The rooms are equipped with: air-conditioning, satellite TV, refrigerator, direct-dial telephone, hairdryer, bathroom and balcony. Cancellation policy At least 7 days before date of arrival. Cancellations later than 7 days or no shows: charge of 3 nights . The cancellation policy may vary per room type; please check the room description as well. Accepted credit cards Visa, Euro/Mastercard, Maestro .The hotel reserves the right to pre-authorise credit cards prior to arrival. The above rates do not include breakfast. Breakfast is 5 euro per person. 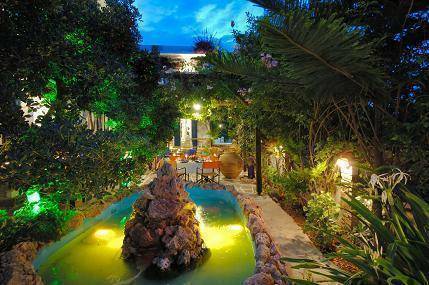 Aliki of Paros is a lovely summer resort at the south part of Paros island. Originally a fishers village, it has now days became very popular to visitors. 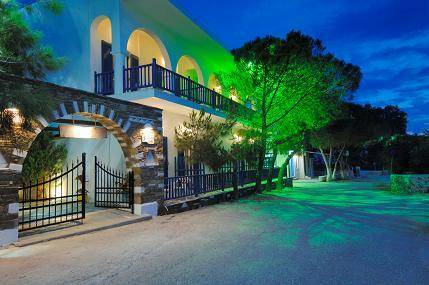 There are several restaurants on the beach, with traditional Greek food. The most beautiful beaches of Paros are on walking distance. 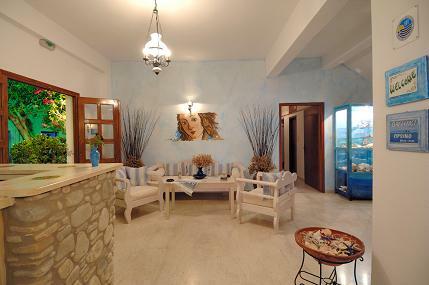 Aliki is the ideal place for a family holiday or a romantic holiday for two. There are daily ferry and high-speed ferry services connecting the Athens port of Piraeus to Parikia harbour. By ferry boat it takes 4. 5 hours and 2. 5 hours by high-speed boat. The harbour of Parikia is 10 km away from Aliki. A regular bus service from Parikia to Aliki is available hourly in the summer outside of the port. From the main bus stop of Aliki and the village's main kiosk, take the road to Ageria, you will find the hotel about 100m away on your right, or you can stop at the second bus stop of Aliki.